The vast expanse of the United States offers many different experiences. Home to well-known cities like Boston, Miami, Chicago, Las Vegas, Los Angeles, and New York City, there is a metropolis for every taste. Travelers can immerse themselves in the neon glitz of Las Vegas, the Hollywood glamour of Los Angeles, the free-spirited vibe of eco-conscious Seattle, or the historic ambiance of Washington, D.C., the nation’s capital. Concrete jungle where dreams are made. Shopping and dining capital extraordinaire. Inspirational trendsetter. New York City wears a number of hats. It is comprised of five well-known boroughs that surround the meeting point of the Hudson River and Atlantic Ocean – the Bronx, Manhattan, Brooklyn, Queens, and Staten Island. Manhattan is the world’s leading financial, commercial, and cultural center. The Metropolitan Museum of Art, Museum of Modern Art, and Frick Collection, are just the beginning of the dizzying list of world-renowned art galleries. New York is a city brimming with iconic attractions like Time Square, the Statue of Liberty, Central Park, and the Brooklyn Bridge. Los Angeles is a Southern California city that is deeply creative, ruggedly good looking, and filled with countless sunny days. From natural beauty to architectural riches to world-renowned attractions to award-winning cuisine, the City of Angels has it all. LA is a city with mighty ties to Mother Nature; where city streets lead to flower-carpeted hillsides, vibrant neighborhoods back up to golden beaches, and deep-blue skies are the symbolic IMAX screen for epic sunsets. Los Angeles offers so much to see and do from the Santa Monica Pier to Universal Studios to the Hollywood Walk of Fame. So whether travelers are looking to tie up those hiking boots, surf a few waves, or catch a glimpse of a celebrity, they’ll find it here. Chicago is a sprawling waterfront city on the shores Lake Michigan. The Windy City will blow visitors away with its steely skyscrapers, rocking festivals, top chefs, and low-key Midwest culture. The city’s skyline is punctuated by towering, iconic skyscrapers that include the John Hancock Center, Willis Tower, and the neo-gothic Tribune Tower. Visitors can take their pick of impressive art galleries; from outsider drawings displayed at the Intuit Gallery to the psychedelic paintings of the Museum of Mexican Art to the Art Institute’s impressionist masterpieces. No Chicago experience would be complete without a trip to Millennium Park, Wrigley Field, Lincoln Park Zoo, and the Garfield Park Conservatory. Houston is a laid-back metropolis in southeast Texas. It’s connected to Galveston Bay, and just minutes from the open waters of the Gulf of Mexico. This city is a high-powered, high-cultured, boot-scooting, pick-up truck kind of town, where visitors can enjoy shopping and take in museums during the day, and enjoy happy hours on leaf-shaded decks in the afternoon. With a world-renowned entertainment and restaurant scene, visitors will have the opportunity to revel in cultural and culinary bliss every night. Houston has a bevy of attractions that bring in tourists from all around the world, such as the Space Center Houston, Museum of Natural Science, Discovery Green, Children’s Museum, and Museum of Fine Arts. Located in the Sonoran Desert, Phoenix is the sprawling capital city of Arizona in the Southwest U.S. The city offers much more than an escape for snowbirds. There are world-class museums, Mexican-influenced cuisine, rugged deserts and mountains to bike and hike, and high-end shopping boutiques. The city receives over 300 days of welcomed sunshine each year, making it an idyllic destination for outdoor recreation. Sports enthusiasts can catch MLB, NFL, NHL, or NCAA games while in town. Some of the city’s other top attractions include the Desert Botanical Garden, Camelback Mountain, Phoenix Zoo, and Phoenix Art Museum. Philadelphia, nestled along the gently flowing Delaware River, is Pennsylvania’s largest city. The self-proclaimed “City of Brotherly Love” is home to Independence Hall – the very location the Declaration of Independence was signed by America’s Founding Fathers, as well as the Liberty Bell, a symbol of independence. ‘Philly’, as it’s affectionately referred to by locals, has a vibrant culinary scene influenced by the city’s blended ethnicities. South 9th Street Italian Market or Reading Terminal Market offer a culinary overview. Hallmarks include the popular Philly Cheesesteak sandwich and Philly-style soft pretzel, must-try foodie experiences. Besides the city’s rich history, visitors may want to explore Franklin Institute Science Museum, Philadelphia Zoo, and Rittenhouse Square. San Antonio is a major metropolis that is located in south-central Texas, approximately 80 miles southwest of Austin. San Antonio is home to The Alamo, an 18th-century Spanish mission that’s been well preserved and now serves as a museum. The site marks a significant battle that took place in 1836, and is a World Heritage Site. River Walk is a focal point of the city, where visitors will find stone walkways lined with restaurants, shaded by large trees. It’s a beautiful area, with calm water flowing down the San Antonio River, graceful bridges, and lots of birds. Visitors should also explore the San Antonio Museum of Art, McNay Art Museum, and San Antonio Botanical Garden. Self-proclaimed as ‘America’s Finest City’, San Diego may just be that. Approximately 20 miles north of the US/Mexico border, it’s a city known for its 70-mile coastline and famous attractions. San Diego is home to Balboa Park – the country’s largest urban park, Mission Bay – a 4,600-acre manmade aquatic park, and 30th Street Corridor – an emerging craft brew scene. This culturally diverse city is brimming interesting neighborhoods like Little Italy, the Gaslamp Quarter, East Village, and La Jolla that provide their own unique charm and vibrant energy. Boasting weather that’s “always sunny and 72”, San Diegans naturally love the outdoors. Must-see attractions include San Diego Zoo, SeaWorld, Cabrillo National Monument, and LEGOLAND California. Dallas is a modern, sprawling metropolis that is located in northeast Texas, about 35 miles east of Fort Worth. The city has long been recognized as a cultural and commercial hub for the state of Texas. Famous for its vast contributions in pop culture – most notably the NFL Franchise Dallas Cowboys, the birth of 7-Eleven, Tex-Mex, and the TV Series, Dallas. Visitors should pick a charming neighborhood like Lower Greenville, Deep Ellum, or the Bishop Arts District, stake out a spot on a shaded patio, order a cold beer, and enjoy the quintessential Dallas experience. Visitors should also check out the Dallas Museum of Art, AT&T Stadium, Dallas Arboretum and Botanical Garden, and Klyde Warren Park. Located approximately 50 miles south of San Francisco, San Jose is a vibrant Bar Area city that is surrounded by beautiful rolling hills within Silicon Valley. The city’s downtown historic district is comprised of several Spanish Colonial Revival structures and an Italianate-style Oddfellows building from 1883. The city has been recognized as one of California’s major technology hubs and is appropriately home to the Tech Museum of Innovation. Santana Row is a popular spot to spend some time, with its delectable eateries, charming movie theater, and designer shops. San Jose features a plethora of fascinating attractions, including the Rosicrucian Egyptian Museum, San Jose Museum of Art, and Japanese Friendship Garden. The sprawling capital of Texas, Austin is a city known for its vibrant and eclectic live-music scene, plethora of picturesque parks, whip-smart locals, and culinary prowess. There are two major annual music festivals that bring visitors in by the droves – South by Southwest and the Austin City Limits Festival, each of which earn international acclaim. Lady Bird Lake is usually bursting with action, from kayakers skimming across the calm waters to swimmers taking laps in the Barton Springs pool to cyclists and joggers burning calories on the lakeside trails. Austin has several attractions that are perfect for all ages, including the Blanton Museum of Art, Zilker Metropolitan Park, and the State Capitol. Jacksonville is a large metropolis that is situated in northeastern Florida where the winding St. John’s River meets the Atlantic Ocean. The city’s restored historic districts and renowned museums are definitely worth exploring. The San Marco and Five Points neighborhoods are walkable areas that feature charming bistros, high-end boutiques, and trending bars. The popular seaside towns of Amelia Island, Ponte Vedra Beach, and Atlantic Beach, are all within short driving distance. Jacksonville is home to a number of fun and interesting attractions that visitors will enjoy, including the Catty Shack Ranch Wildlife Sanctuary, Jacksonville Zoo and Gardens, and Riverside Arts Market. 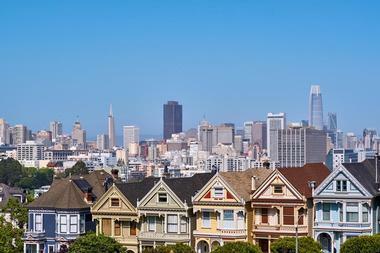 A vibrant Bay Area city, San Francisco is situated at the point of a peninsula that is surrounded by the shimmering waters of the Pacific Ocean and San Francisco Bay. The city is known for its colorful Victorian homes, steep hills and cable cars, year-round fog, and iconic Golden Gate Bridge. San Francisco is home to the most farmers markets and restaurants per capita in North America, most of which are supplied by the local, pioneering organic farms. It’s a city packed with a fine assortment of fun activities to enjoy, such as exploring Fisherman’s Wharf, taking a ferry to Alcatraz Island, and slowly cruising down the scenic Lombard Street. Columbus is the capital of Ohio; it’s a booming city with a palpable amount of energy and excitement. The city’s magnificent culinary scene features one-of-a-kind restaurants, top-ranked chefs, and a healthy farm-to-table movement. Nationally acclaimed breweries and distilleries work in conjunction with high-end cocktail bars and coffee roasters, music halls, dive bars, and black box stages to deliver an unforgettable nightlife experience. Neighborhoods all around the downtown area are busting with trendy new places to shop and eat. Travelers making their way into the city for the first time should check out the Wagner-Hagans Auto Museum, Ohio Theater, Franklin Park Conservatory and Botanical Gardens, and Easton Town Center. 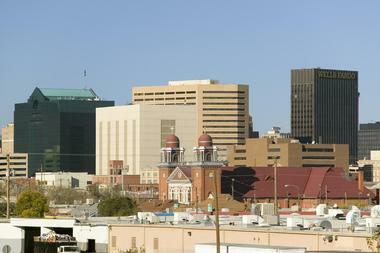 Fort Worth is a large city that is located in North Central Texas, it’s situated about 35 miles west of Dallas. The city first gained fame in the late 19th century when massive open-range cattle drives where a regular occurrence. Today visitors can catch mini-cattle drives in the early morning hours and an electric rodeo on Saturday nights. The city is also home to an incredibly rich culinary and arts scene that visitors will appreciate. There are a number of attractions in Fort Worth that beckon travelers from abroad, including the Kimbell Art Museum, Amon Carter Museum of American Art, Forth Worth Zoo, and Fort Worth Botanic Garden. 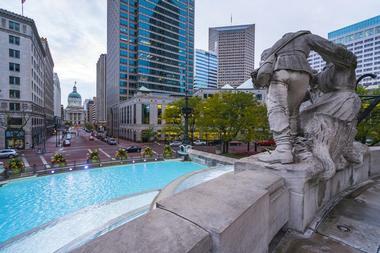 Indianapolis is the capital, as well as the most populous city within the Midwestern state of Indiana. Racing enthusiasts flock to this city each year for the Indianapolis 500, held at Indianapolis Motor Speedway. More than just one of North America’s top racing capitals, Indianapolis is a city with a flourishing brewing and culinary scene, cool neighborhoods, thriving cultural institutions, and much more. Between the NFL’s Colts and the NBA’s Pacers, sports enthusiast will have a pretty good chance of catching a professional game while in town. Visitors will also want to check out the Children’s Museum of Indianapolis, Indianapolis Museum of Art, Monument Circle, and the Indianapolis Motor Speedway Museum. 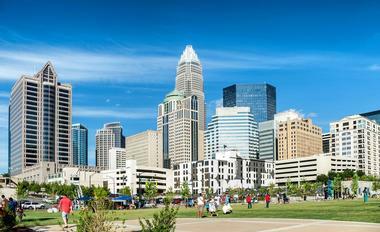 North Carolina’s largest city, Charlotte is a compact metropolis with futuristic skyscrapers peppered into its high-rise core. Tucked away in the sleepy rolling hills of the Piedmont region, this city is no quiet Southern belle. In Uptown, visitors will find the high-octane NASCAR Hall of Fame, as well as several fascinating museums. 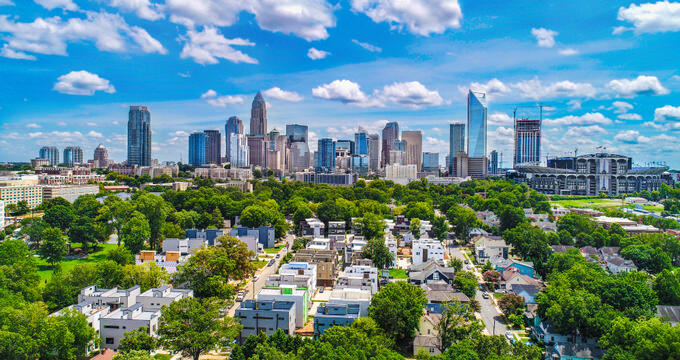 Charlotte offers several funkier neighborhoods for visitors to check out as well, including Plaza Midwood, with its trendy restaurants and chic boutiques. 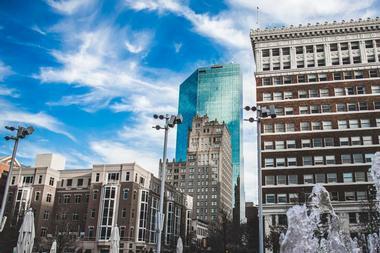 The city is home to a number of interesting attractions, such as the Billy Graham Library, Freedom Park, Discovery Place Science, and Levine Museum of the New South. Seattle is a stunningly beautiful city that is located on Puget Sound within the Pacific Northwest. It’s a city that embraces new trends, pushes the envelope, and is plotting an innovative course into the future. With a cozy espresso bar on nearly every corner, it’s no wonder Seattle earned the title “Coffee Capital” of the United States. The city’s bustling waterfront area features several piers, ferry docks, and the Great Ferris Wheel. Visitors will have the chance to do some hiking and take in magnificent views at the nearby Mount Rainier National Park and Olympic National Park. 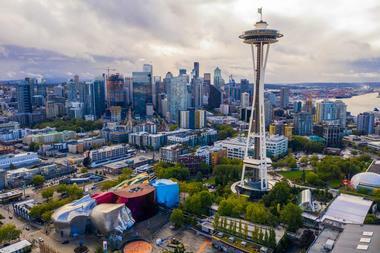 Can’t miss attractions include the iconic Space Needle, Pike Place Market, and Museum of Flight. 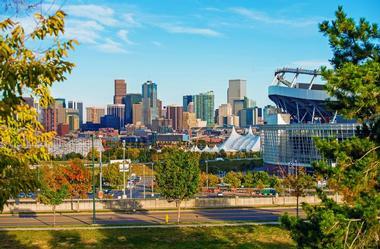 Denver, also known as the ‘mile high city’, is the cosmopolitan capital of beautiful Colorado. This mountain city has a burgeoning arts and culinary scene, a ton of cycling trails and picturesque parks, and plenty of trending brewpubs. Surrounded by the very scenic Rocky Mountains, visitors will have the opportunity to enjoy world-class skiing, hiking, mountain biking, and camping with ease. The city is home to many vibrant neighborhoods; like River North with its eye-catching street art and hipster bars; and Lower Highlands with its live music and great eateries. Denver features a number of noteworthy attractions, including the Museum of Nature & Science, Denver Botanic Gardens, and Denver Art Museum. Washington, DC, is the capital of the Unites States of America. The city is situated along the winding Potomac River and borders the states of Virginia and Maryland. 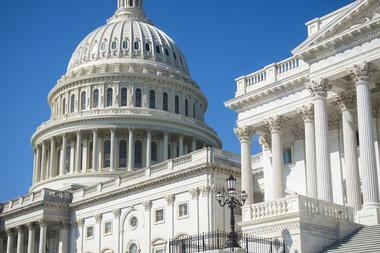 This capital city is defined by its imposing neoclassical buildings and monuments, including the Supreme Court, White House, and Capitol Building. The city’s structures have height limitations, meaning no skyscrapers, and in enhanced sense of openness. Washington is home to a number of important monuments, world-class museums, and historic treasures. Some of the city’s top attractions include the Lincoln Memorial, Washington Monument, National Air and Space Museum, and National Gallery of Art. Overlooking the waters of Quincy Bay and the Atlantic Ocean, Boston is the capital of Massachusetts, as well as the state’s largest city. There may not be an American city with more Revolutionary War and colonial-era history than Boston. 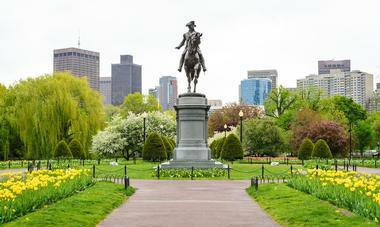 The Freedom Trail will take visitors by a number of historic sites and loved tourist attractions. Boston is home to a number of professional sports teams, including the NFL’s Patriots, the MLB’s Red Sox, the NBA’s Celtics, and the NHL’s Bruins. The city also features several fascinating attractions for visitors to check out, such as Faneuil Hall, Beacon Hill, Museum of Fine Arts Boston, Boston Public Library and Copley Square, and Isabella Stewart Gardner Museum. El Paso is a West Texas city that borders the Rio Grande River; Mexico to the south; and the state of New Mexico to the north. It’s a city rich with cultural attractions and home to a diverse array of desert flora and fauna. El Paso offers plenty to see and do, such as exploring the fine collection of pre-Indian and Columbian art at the El Paso Museum of Art, or catching a Minor League Chihuahua baseball game. Nature enthusiasts should head to Franklin Mountains State Park or Hueco Tanks State Historic Site for a little outdoor adventure. Visitors should also consider checking out the Plaza Theatre, El Paso Mission Trail, and El Paso Zoo. 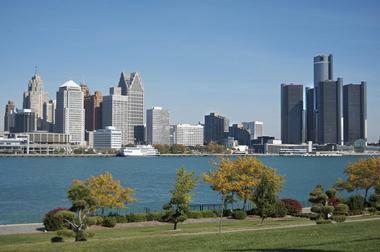 Detroit, also known as ‘Motor City’, is a Midwestern metropolis situated along the Detroit River. It borders Canada and Lake St. Clair. Detroit is writing its own comeback story, and it’s a good one. Markets, murals, bike shops, distilleries, greenways, and wildly inventive chefs are breathing life back into this city. The city’s even sporting a new sports arena and streetcar in its downtown neighborhood. There’s a palpable sense of DIY spirit in the air as young people, entrepreneurs, and artists flock to the city’s core. Detroit is brimming with incredible attractions to discover, including the Detroit Institute of Arts, Motown Museum, Detroit Historical Museum, and Charles H. Wright Museum of African-American History. Nashville is the vibrant capital of Tennessee, and perhaps more importantly the ‘capital of country music’. With impressive attractions like the Country Music Hall of Fame and famous Music Row district, it’s easy to understand why. 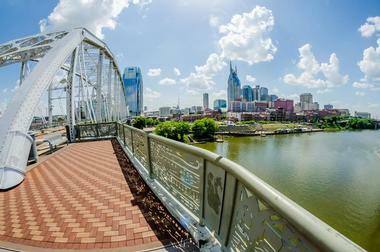 The historic John Seigenthaler Pedestrian Bridge offers magnificent views of the gently flowing Cumberland River. Germantown is a trending area that is bursting with superb restaurants and stylish boutiques. The city features a number of picturesque parks that unfurl over lush riparian landscapes and rolling hills. No Nashville trip would be complete without a visit to the Nashville Parthenon, Belmont Mansion, The Hermitage, and Ryan Auditorium. 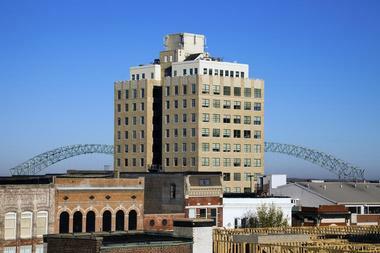 Located in southwest Tennessee, Memphis is a spirited city that is situated along the mighty Mississippi River. The city is known for its influential strains of rock ‘n’ roll, soul, and blues music that originated here. Legendary artist’s Johnny Cash, B.B. King, and Elvis Presley have all recorded albums within the iconic Sun Studio; Presley’s Graceland mansion is another one of city’s top draws. Barbecue connoisseurs will appreciate just how easy it is to get some of the best dry-rubbed ribs and smoked pulled pork this side of the Mississippi. Visitors should also check out the Memphis Rock ‘n’ Soul Museum, National Civil Rights Museum, and Memphis Zoo.